HOUSTON (November 12, 2018)-A woman driving a Ford Mustang crashed into a local bar near downtown Houston. The accident happened around 1:00 a.m. Monday in the 2200 block of Washington Avenue. According to reports the woman was heading east on Washington Avenue and lost control of her car when she slammed into Darkhorse Tavern. 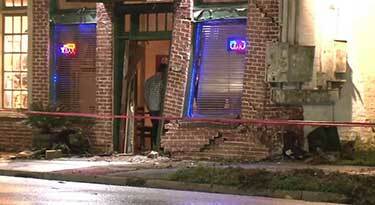 Several people were inside the bar at the time, but no one was injured. A bar manager with the help of an off-duty officer broke a window on the woman’s car to get her out. The driver was semi-unconscious after the collision and was taken to a local hospital. The crash remains under investigation and police accident reports will be made available in 10 business days.